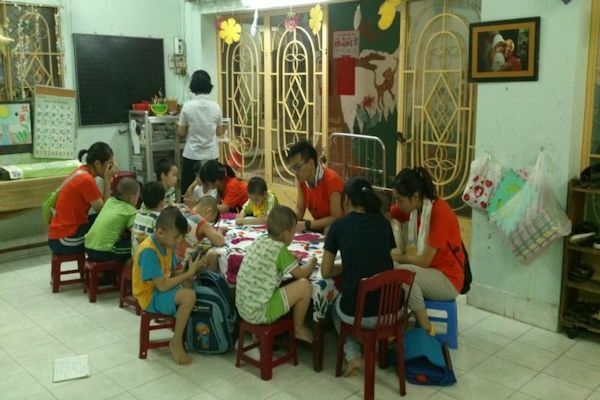 Volunteer project: The volunteers will support an orphanage run by monks, which was built in the early 20th century and is quite famous in Ho Chi Minh City. The orphanage is now a place of charity for unlucky children and also helps treat diseases. Now the monks are taking care of and bringing up more than 100 children from the South of Vietnam. The children here have unfortunate backgrounds as many have been abandoned by their parents and relatives. Every few months, the monks find a new baby left in front of the pagoda gate. 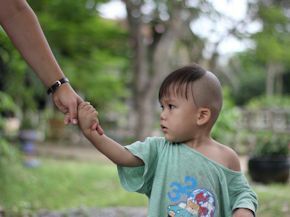 The head monk sometimes receives phone calls from hospitals requesting him to take in abandoned babies. At the moment, about 100 children live in the orphanage; their ages ranging from 5 days old to 20 years old. 60 of them are orphans that are suffering from cerebral palsy, blindness or Down syndrome. About 30-40 local children have the chance to study at the orphanage as some local teachers teach them Vietnamese in the morning. Volunteers will spend time with the children and help to improve their English, organize games and other activities for them. Volunteers will also do some manual work, like cleaning and renovation, to improve the children's houses and classrooms. Volunteers will get closer to the children’s life and try to broaden their horizons and encourage them to learn better for a brighter future. Volunteers can also support children with disabilities in the disabled children's room. Leisure activities: Self-organized city tour and excursions, etc. Location: Go Vap District, Ho Chi Minh City (or Sai Gon), in the southern part of Vietnam. Volunteer project: Volunteers are needed in a language center that was established in 2010 by a monk from a local Buddhist pagoda in order to support underprivileged young people and students and to give them a chance to learn a foreign language properly. With the active dedication and contribution of many individual sponsors and volunteers, thousands of students and children have had the chance to learn a foreign language. There are 6 languages offered in the center: English, French, German, Japanese, Chinese and Korean (all levels from beginner to advanced). All courses are free. The Center is open from 8am to 5pm every day. On Saturday and Sunday, there is a class for pupils (from 6 to 15 years old). Teachers are international and local volunteer teachers. At present, there are 50 volunteer teachers and about 1000 students. Volunteers will spend time with the students at the language center and will help them improve their language skills, will organize games and other activities for them. The group will work from 9am to 3pm, from Monday to Friday. Volunteer project: Buoc village is a small village of Thai people (an ethnic group who came from southern China). It is a scenic village amidst a green and pure landscape surrounded by mountains. Because of the natural conditions, Thai people here rely mainly on agriculture. In the past, the village was located by a stream and the people used water from the stream for gardening. Although the stream is very beautiful, it is dangerous. During the rainy season, water from the mountains goes down the streams and washes everything away, making it very dangerous to live nearby. For this reason, the government helped the residents to move to higher ground, and build permanent traditional houses of wood. Years have passed since the new Buoc village was reconstructed in 2002. Currently, firm houses, concrete roads and electricity have become the living environment of every villager. Despite the new infrastructure, the villagers still lack education and understanding of the modern society. Therefore, volunteers are invited to come to Buoc and help the villagers. Leisure activities: On the weekend, the group can visit beautiful natural spots in Hoa Binh that can't be found in the tourist books. 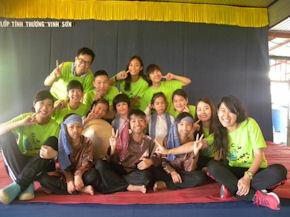 Besides, we can organize cultural exchange activities and games with villagers and local volunteers. Accommodation: The volunteers will live with a host family in a traditional bamboo house in Buoc village. Sleeping bag is needed. Location: The project takes place in Buoc village, near Mai Chau town, Hoa Binh province. It's about 160 km north of Ha Noi. Volunteer project: Volunteers in this project will help out at a charity restaurant that offers affordable meals to poor students, immigrants and local workers in Ho Chi Minh City. The restaurant does fundraising in order to be able to offer quality meals at a low cost of 2000 VND (less than 10 cents). Volunteers are needed in this project to support the charity mission of the restaurant and help prepare meals for poor people. Volunteers with relevant experience can join the cooking. Most of the time, volunteers will help preparing food, washing vegetables, setting up tables. The restaurant is located in the central part of Ho Chi Minh City. Participants in this charity project will be able to learn about life in the city which changes very quickly with a growing gap between different groups of society. Volunteers' main duties in the charity restaurant involve preparing food, washing vegetables or setting up tables. They will also help serving meals, cleaning tables, washing dishes. Work hours are 7:30am to 1:30pm, Monday to Friday. Special requirements: Volunteers in this project are expected to be motivated, hard working, enthusiastic and attentive. Cooking experience is very welcome. Accommodation: In a dormitory in Saigon, in shared rooms with bunk beds. Free Wi-Fi is available at the volunteer house. The restaurant is 30 minutes by bus from the accommodation. Volunteer project: Cat Ba is the largest of the 366 islands spanning 260 km2 that comprise the Cat Ba Archipelago, which makes up the southeastern edge of Ha Long Bay in Northern Vietnam. Hạ Long Bay is a beautiful natural wonder and a UNESCO World Heritage site, dotted with 1,600 limestone islands and islets, forming a surrealistic seascape. Hạ Long Bay has also been officially named one of the New Seven Natural Wonders of the world. Cat Ba is the largest island in the Bay and approximately half of its area is covered by the Cat Ba National Park. Besides its natural beauty, the island features incredible geology and rich biodiversity. The types of natural habitats found here include limestone karsts, tropical limestone forests, coral reefs, mangrove and sea grass beds, lagoons, beaches, caves, and willow swamp forests. The island is home to the Cat Ba langur which is the third rarest primate in the world and the rarest in Vietnam. In 2006 the park borders were expanded to include all areas with langurs remaining. For all of its natural beauty, Cat Ba Island faces numerous environmental problems. Increase in tourism and recent development threaten the ecological integrity and biodiversity of the island, reducing and fragmenting the natural habitat for Cat Ba's numerous species. Illegal hunting and poaching, overfishing, and water pollution in Ha Long Bay continue to threaten the ecological health of the island. The island is a national park of Vietnam and was recognized by UNESCO in December 2004 as a Biosphere reserve of the world. The volunteers will organize activities for local children, as well as help with small renovation tasks at the school. The team will also organize different activities aimed to raise awareness among youth and local people about the environment and climate change. In Cat Ba National park, the volunteers will be involved in the protection of the critically endangered Cat Ba langur and other environmental activities. Leisure activities: Volunteers have two days off on the weekend for visiting beautiful spots in Cat Ba and the surroundings such as Ha Long Bay and Yen Tu Pagoda in Quang Ninh. In the evenings, there will be cultural exchange, games and parties with Vietnamese volunteers. Accommodation: Participants will stay in the tourism center, in a shared room for all (basic conditions). Please, bring your sleeping bag. Location: Cat Ba island, Hai Phong city. Hai Phong is the third largest city of Vietnam and Northern Vietnam's most important seaport. 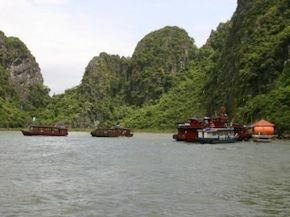 It is located at the mouth of the Cam River, 120 km east of Hanoi. 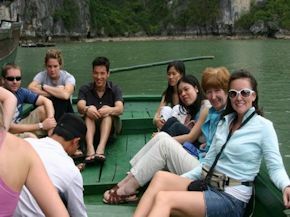 Cat Ba Island, located in Ha Long Bay, is also administered as part of the city. Volunteer project: The project takes place in a poor rural village in Thai Nguyen. More than 90% of the villagers are ethnic people and poor farmers. The people’s living standard is still very low. The kindergarten in the village was established in 1990. There are now more than 100 children coming to attend every week. Although this is the only school in the community, the living conditions of the children here are very poor and renovation is badly needed. The volunteers in this project will renovate the kindergarten which requires painting and decorating of classrooms. The volunteers will also organize leisure activities for the children and cultural exchange activities with local people. Accommodation: Volunteers will stay in a hostel near to the kindergarten. Please, bring your sleeping bag. 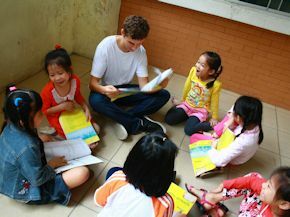 Volunteer project: In this program, volunteers will teach English at a local educational institution, from primary level until tertiary level. Many Vietnamese schools lack teachers with sufficient English competencies to extend the students’ English beyond basic writing and speaking skills. Volunteers help to improve the children's vocabulary and pronunciation, assist local teachers in managing their classes, organize games and other activities in the classroom, and help to improve the children's listening and speaking skills. Additionally, volunteers can teach French, Art, Culture, Dancing, Sport, etc. Working hours will vary depending on the school where the volunteer is placed and will average around 3 to 6 hours per day. Please note, volunteers do not need to be a qualified or experienced teacher to participate in this kind of project; however, in some certain placements, teaching experience is necessary. Besides the normal work at local schools, volunteers are welcome to join communication English/French classes for children and students that are organized once or twice a year (usually in summer time). In this project, volunteers can learn and develop their teaching experiences through working independently, making lesson plan and creating their own activities in the class. Volunteer project: The Sports Education program is designed for volunteers who wish to work with children in schools/orphanages or centers for homeless children, but not necessarily spend all their time teaching in a classroom. Volunteers have the opportunity to assist in schools/orphanages to broaden children’s knowledge of sport, through teaching “foreign” sports and games to the children and educating them on general fitness, health and wellbeing in addition to taking general classes at the school. It is up to the volunteer to plan lessons and design the teaching of their sports program. Children are extremely enthusiastic and willing to learn, however past volunteers have found it important to be prepared if they are to teach the children foreign concepts and ideas (such as a new sport). 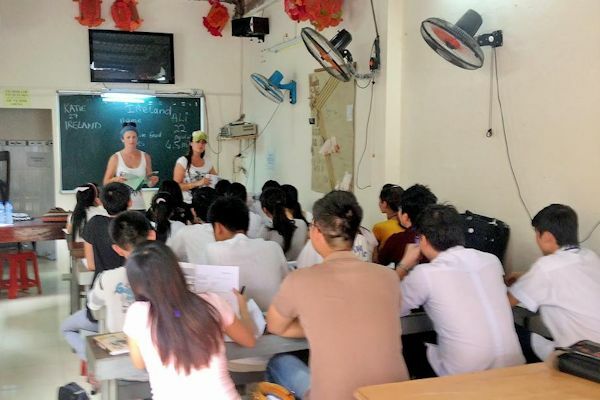 While football/soccer is extremely popular in Vietnam, many volunteers have found it rewarding to teach the children other sports from the volunteer’s home country, such as baseball, lacrosse, basketball, cricket and rugby. If a volunteer wishes to do this, they must plan ahead and often bring the required materials and equipment themselves as it is highly unlikely to find them in local stores and shopping centers. Volunteers do not need any previous teaching experience for this program, but it is important to note that they may be required to teach other classes during the day, such as English, Math, Science or Social Studies (Geography and History). 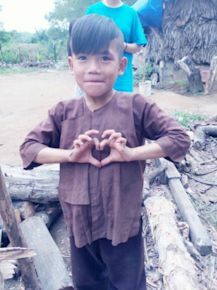 Volunteer project: Although Vietnam has now been at peace for many years, effects from war continue to haunt not only the adult population of this beautiful country but also its children. 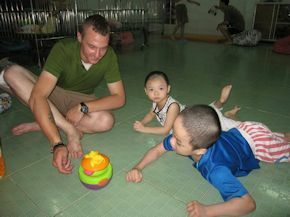 Volunteers have the opportunity to work in institutions caring for orphan/street children or disabled children and young people affected by Agent Orange or in schools, hospitals and community clinics looking after mentally disabled children. Work is somewhat varied depending on the institution where the volunteer is placed, however typical examples of tasks can include: assisting local staff in providing rehabilitation exercises and therapist treatments for children, playing with children and entertaining/educating them with games, music, arts and other exercises, helping to develop fundraising initiatives to ensure ongoing funding for these institutions and teaching English to local staff. Volunteer project: In this project, volunteers will take care of orphaned, abandoned and street children. The time will mostly be spent with children, playing with them, providing care and helping them to feel warmth and love in their difficult life. Besides care work, there will be a possibility to do some basic teaching. 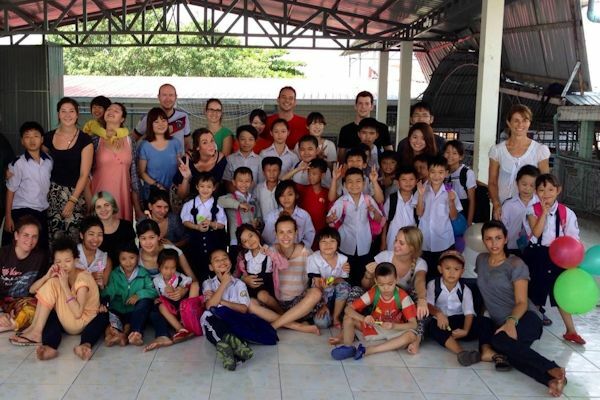 Volunteer project: Volunteers will help taking care of children in kindergarten. They are babies and between 2-6 years old. Placements are in several kindergartens in the urban area of Ho Chi Minh city, both in middle class and poor neighbourhoods. Volunteers' main duties in the charity restaurant involve preparing food, washing vegetables or setting up tables. They will also help serving meals, cleaning tables, washing dishes. Work hours are 8 am to 1 pm, Monday to Friday. Duration of the project: 1 - 3 weeks. Please select the dates that work best for you and submit them with your application. Volunteer project: The Animal rescue and care program provides you with an opportunity to contribute to the welfare of animals in Vietnam. 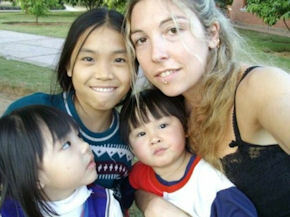 Volunteers will work at an animal rescue centre which is located 40 miles north-west of Ho Chi Minh City. The centre rescues wildlife animals that are confiscated from illegal animal trade. After successful recovery and rehabilitation, the animals are returned back to the wild. There are usually over 300 rescued animals in the centre including primates, bears, exotic birds, reptiles and other small mammals. Volunteers will have a unique opportunity to work alongside some incredible wildlife and get the satisfaction of helping to make a difference to their lives. The exact nature of the work will vary all the time and there is no such thing as a 'typical' day. However there are certain everyday tasks that will be volunteer’s responsibility such as: feeding the animals, providing water for them, assisting with cleaning the enclosures. Other possible tasks include: construction of new cages and enclosures, working on enclosure enrichment, assisting with tours for visitors, keeping the centre's grounds clean. 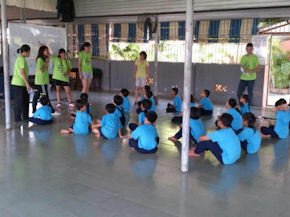 Volunteer project: Volunteers in this program will contribute to the welfare of animals in Vietnam. There are many abandoned or stray dogs and cats on the streets of Ho Chi Minh city. The Dog and Cat rescue and care program was started in 2013 by young people, mostly university students. The aim of the program is to provide support and improve the welfare to abandoned or stray dogs and cats. Every day, at least 3 cases of stray/abandoned dogs and cats are found and rescued. Dogs and cats are brought to the shelter and taken care of, given medical care until they are healthy enough and ready for adoption or to return home. Since the start of the project, hundreds of dogs and cats have been rescued. The usual number of dogs and cats at the shelter is between 15-30. As the number of dogs and cats increases, there is a big need of volunteers to help care for the animals and to help with the fundraising efforts. Volunteers’ duties include cleaning the shelter, showering and playing with the dogs and cats. Volunteers are also encouraged to join other activities on social media such as Facebook or Twitter, or organize campaigns at the local community in order to support the promotion and fundraising for the project. On the first day, volunteers will be given an orientation tour of the shelter and they will learn why the dogs and cats are there and how they are cared for. For this project, previous experience is not necessary, but enthusiasm for hard work and getting involved in the cause is. The volunteers will work from 9am to 3pm. Accommodation: Volunteers will stay in a dormitory in shared rooms, usually 2-6 volunteers per room. Single or twin room can be arranged by request. The house has TV, PC, free Wi-Fi, fridge, air conditioner, cooking facilities and common room. Laundry service is available near the house. There is a cook who prepares a wide variety of delicious and authentic Vietnamese dishes with locally sourced fresh produce daily during the week. On weekends, meals will be served at a restaurant nearby. Lunch on working days will be provided at a restaurant near the shelter. Location: The project takes place in Ho Chi Minh city, in different districts. At the moment, volunteers are needed at shelters in Tan Phu and Binh Chanh Districts. Volunteers travel to work by bus. The travel time is about 1 hour. 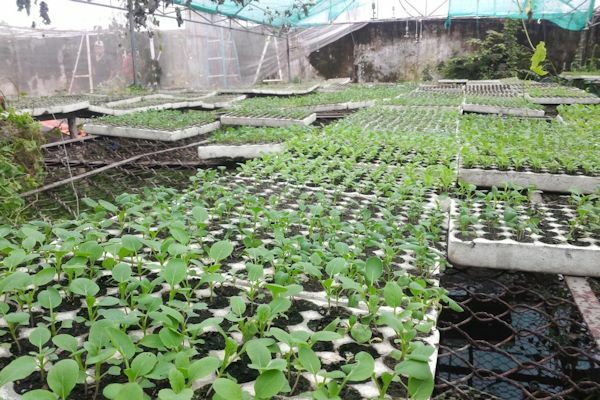 Volunteer project: This organic farming program takes place in the outskirts of Ho Chi Minh City. 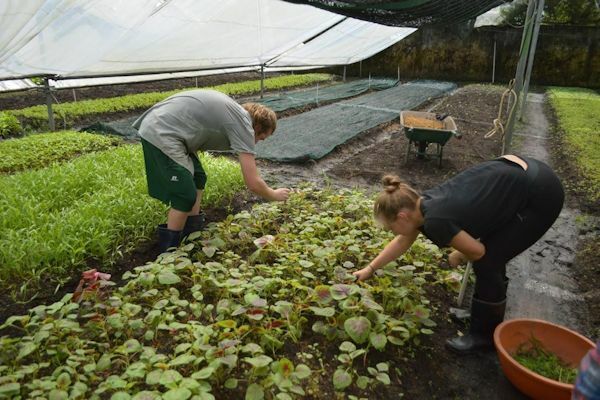 The farm works to promote eco lifestyle, as well as to provide real organic fruits and vegetables to the community. The farm is about 5000m2 and they use technology based on software to ensure the quality and capacity of the products. 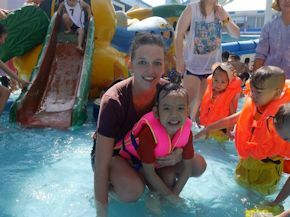 Volunteer project: The medical internship program in Vietnam provides skilled medical professionals and students the chance to experience a new culture and working environment while still learning and developing their specialized medical knowledge at the same time. Volunteers get the chance to gain a greater understanding of the differences between medical systems in developed and developing countries. Volunteers will be placed with a local Doctor and/or Nurse who will guide them in different tasks and activities at the placement. It is important to note that as a volunteer, you will not be allowed to partake in serious procedures and you will be job shadowing. However, depending on the volunteer’s level of experience, they may observe operations, provide assistance in basic procedures and visit patients, before and after surgery as well as any other tasks offered or required by the local staff. While volunteers are always encouraged by local staff to see and learn as much as possible, the local staff are also very interested in gaining a better understanding of medical work in your country and learn about the similarities and differences. There are opportunities for volunteers to work in pediatrics, physiotherapy, occupational therapy and speech therapy with children and adults who suffer from cerebral palsy, Down syndrome, congenital motor system deformity and other disabilities. There are also opportunities to work in other specialties within a very large hospital with highly skilled staff who speak English. 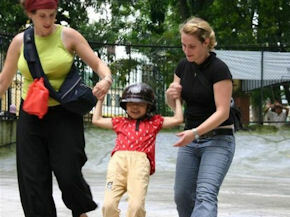 There are 5 big hospitals in Ho Chi Minh City that welcome participants from this program. Volunteer project: The aim of this program is to provide skilled physiotherapy professionals and students the chance to experience a new culture and working environment while still learning and developing their specialized medical knowledge at the same time. Volunteers get the chance to gain a greater understanding of the differences between medical systems in developed and developing countries. Volunteers in this program will work in a hospital specializing in physical medicine and rehabilitation or in a physiotherapy rehabilitation center. Volunteer project: Can Gio Mangrove Reserve is a UNESCO Biosphere reserve and one of the most important wetland conservation sites in the country. It covers 75,740 hectares and	is dominated by mangroves, including both salt water and brackish water species. Can Gio has a high biodiversity with more than 200 species of fauna and 52 species of flora. The site is an important wildlife sanctuary in Vietnam as it is characterized by a wetland biosystem dominated by mangrove and many rare species. Today, it has become one of the most extensive sites of rehabilitated mangroves in the world. One of the main advantages of the biosphere reserve is that it provides the opportunity to work on environmental protection on a continuum of habitats, ranging from the sea to the boundary of Ho Chi Minh City, the biggest industrial city in Vietnam. The mangrove forest is regarded as the “green lungs” of the city. The aim of this project is to reforest unproductive land within Can Gio Biosphere Reserve that has little remaining original vegetation on it. Existing trees will remain but new native trees will be planted. Volunteers will join the efforts to regenerate the area, bring back a forest, and restore its biodiversity.